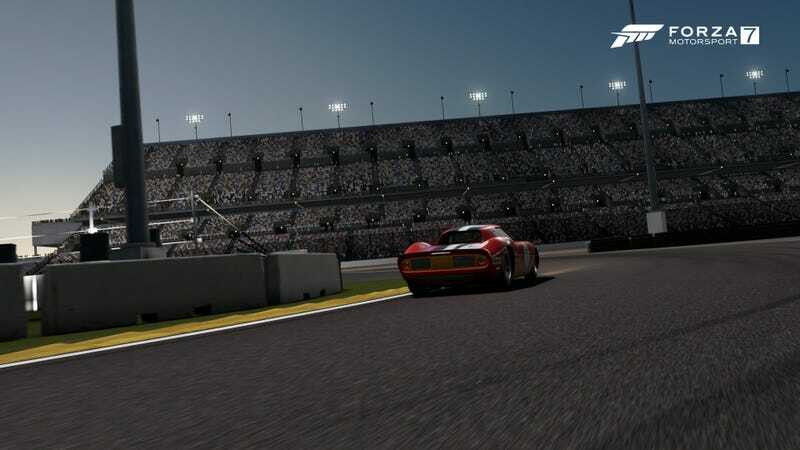 *CLICK HERE FOR LIVESTREAM LIST* The first round of the Oppositelock Forza 7 Endurance Championship, The Oppositelock 2.4 Hours of Daytona, is tomorrow at 8:00 PM EST. If you’d like to learn more about the series, click the link and get all the info. Or, if you’ve already read the plan but haven’t signed up yet, click here to go right to the sign up sheet. We’re getting closer to race day! Post up any liveries if you have them done. Otherwise, just a reminder that BUILD RULES HAVE BEEN FINALIZED! CLICK HERE FOR THE CURRENT BUILDS. Also, there will be 3 required pit stops for Sports-Proto cars, and 4 for GT cars. For those of you taking part in Round 1 of the Oppo Endurance Championship this Saturday, I have decided to hold an official practice session today at 9:00 PM EST. It is by no means required, but if you want an idea how your car stacks up against everyone else, want to practice driving in traffic, or have no plans and are bored, I highly recommend joining in. If we have enough people or everyone just wants to test it, we can use the Discord server as well. We can do short stints or do full runs, up to you guys. That’s it for now! If there is interest, I can hold a practice session (or sessions) at some point this week so you can get some run time in before the 2.4. Otherwise, see you Saturday for the start of the next chapter in Oppositelock Racing.